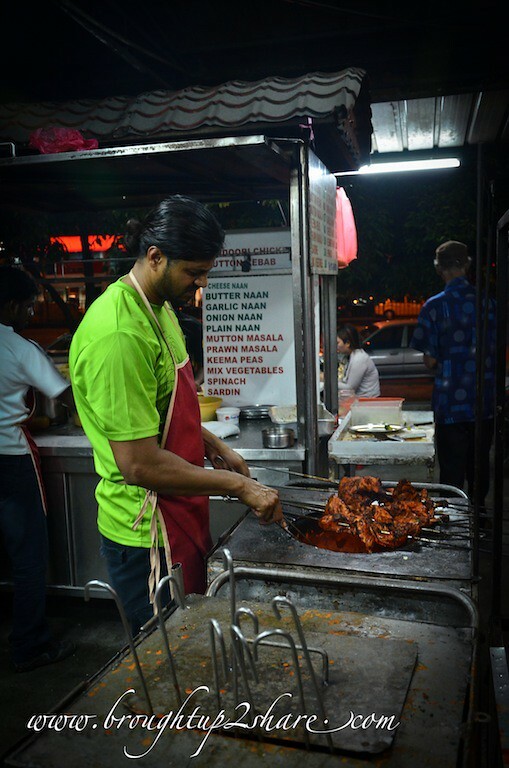 If it wasn’t for Ken, we wouldn’t have tried the famous Tandoori Chicken at Ampang although the raves have been enormous; it just skipped our eat list somehow. 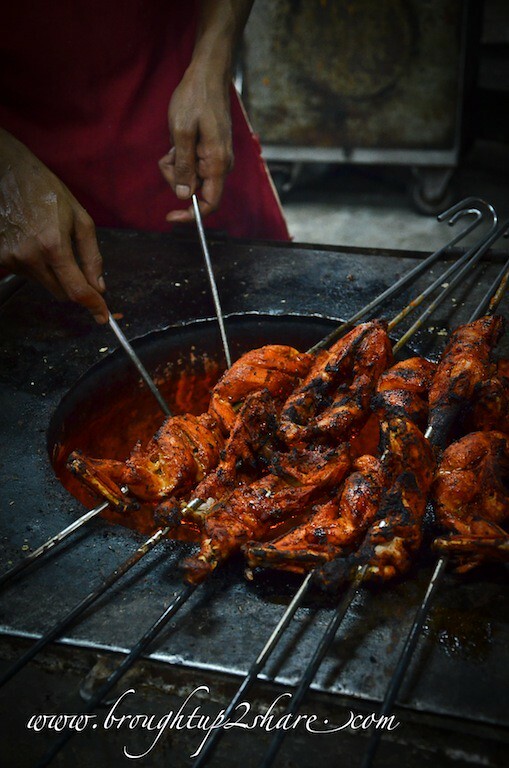 The well-known Tandoori place that has been always referred to the one opposite Ampang Point & nestled next to a guitar shop (Galeri Guitar) within a hawker centre, the small bustling stall is manned by Uncle Arumugam. 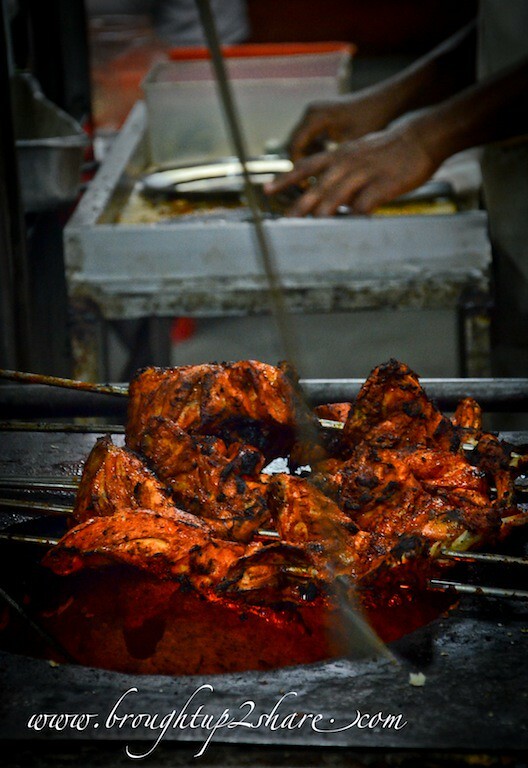 Tandoori Chicken has been my favourite order at the workplace cafe but with Arumugam’s treat around, I put that aside. 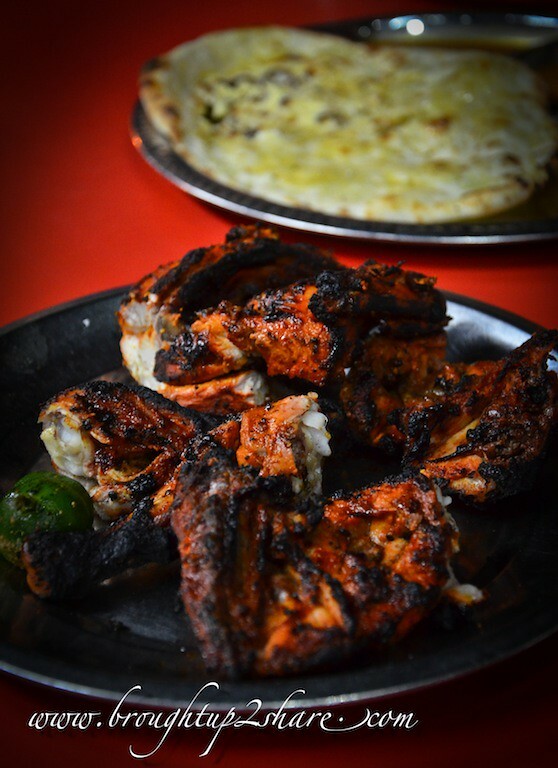 Bursting with flavours, Uncle Aru marinated the chicken well in yoghurt, lemon juice & with plenty of spices like the chili powder to give it a fiery red coat then grilled at high temperature in and over the tandoor (clay oven). These are famous for their amazingly juicy, tender and well flavoured criteria. Fret not as it’s meat texture is not dry. 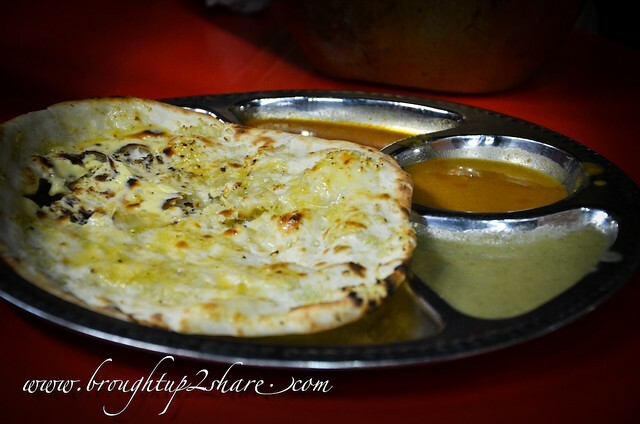 Pairing it with a couple of naans would be perfect. The dough if flattened and tossed into the side of the tandoor. Cooked over high heat, these produces the crispy ends and concurrently, soft texture in the middle with minimal burnt flavours to complete it. Just love the garlic taste! Don’t mind the after taste at all as it’s worth trying. *Please be noted about the waiting time. 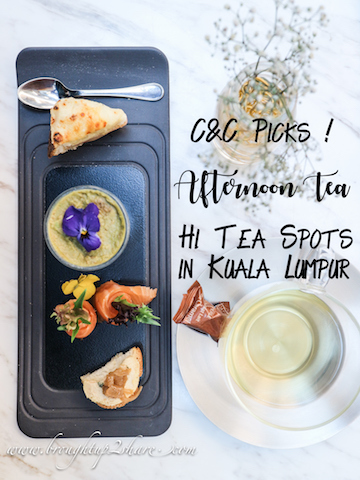 Though we went there during weekdays, patrons and Uncle Aru’s regulars are pouring in. But still, it’s worth checking out. Go staright and follow the curve of the road through the housing estate to lead you back to Jalan Ampang. There will be a row of stalls tucked at a corner on your left hand side, next to a row of shophouses facing Jalan Ampang. The stalls are also near Empire Furniture Gallery and SSF. 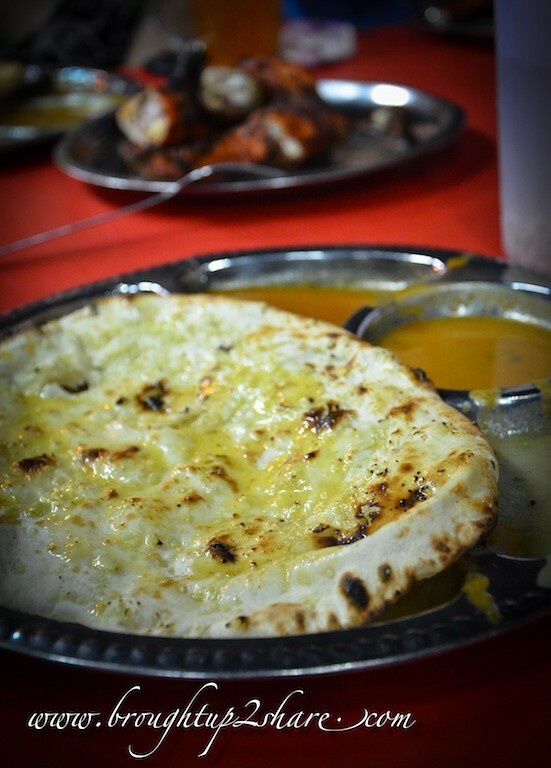 Tandoori stall is at the end nearest to Jalan Ampang. Great. 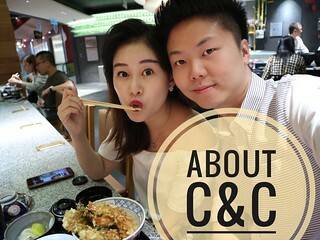 This was in my list, but ended up eating YTF @ Foong Foong then chicken rice at Loke Yun. Cannot wait til so late. Maybe another trip for Korean + this. 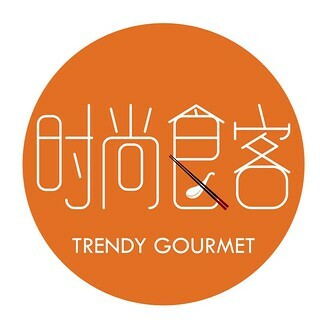 i wanna try the loke yun chicken rice too! This looks really good! I’m a bit sesat one, Empire Furniture Gallery – is it a branch of the one in Jalan Semantan? This looks so yummy! I love all the burnt bits on the skin, they look the tastiest! 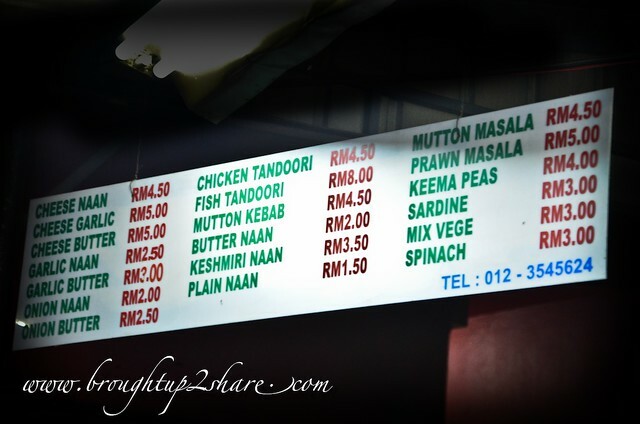 To Aryan’s at Quality Hotel Jalan Raja Laut opposite Mara building.